Beautiful African Necklace for ladies. This African women’s necklace is inspired by our tradition tribal designs and makes an interesting and unique gift for a special person. 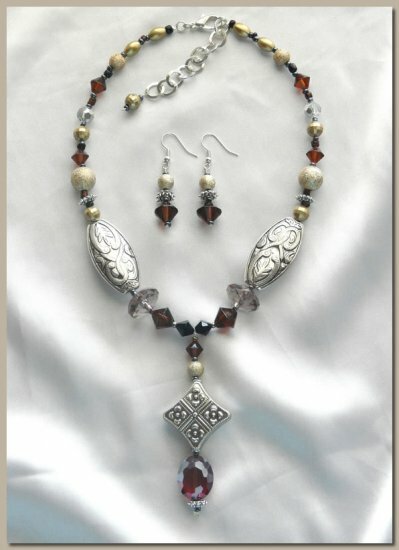 Our African Queen Necklace is made from interesting Glass Beads, decorative Silver Rhodium pieces and Facetted Crystals and has a beautiful and very exotic look to it perfect for evening wear and special occasions.